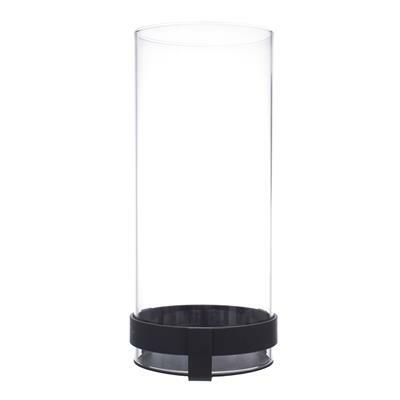 Make the most of those long summer evenings in the garden or create a warm and inviting atmosphere indoors with our lovely Penfold Hurricane Lamp. This handsome lamp, which is hand forged from steel and boasts a long cylindrical shade, will bring instant charm and elegance to any space. 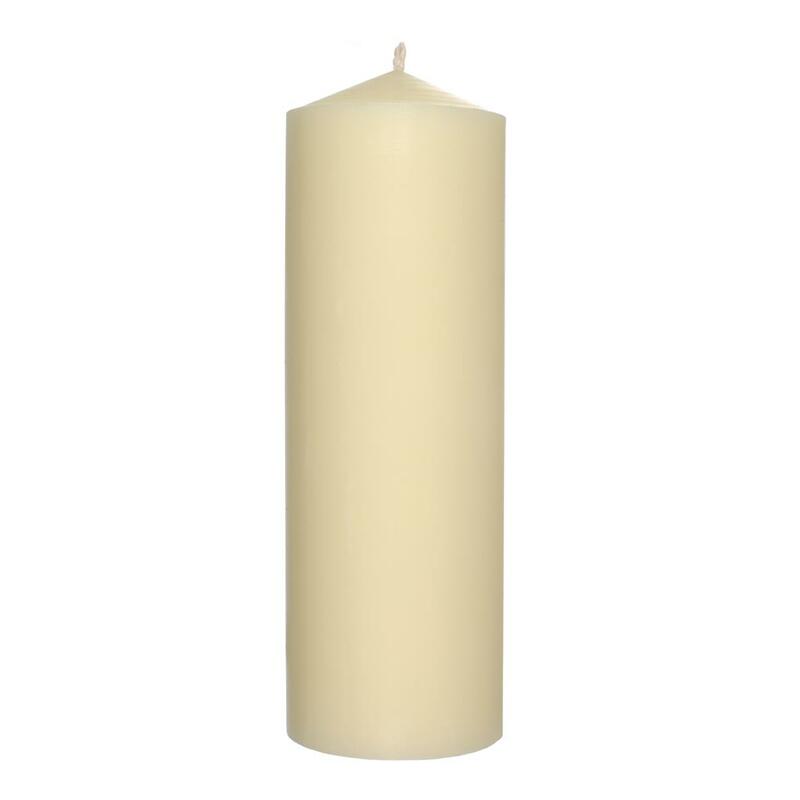 Use one of our natural beeswax candles to light up your patio, garden or courtyard, or let your imagination run wild by filling it with flowers, fairy lights or baubles for a decorative flourish to your mantlepiece or sideboard. 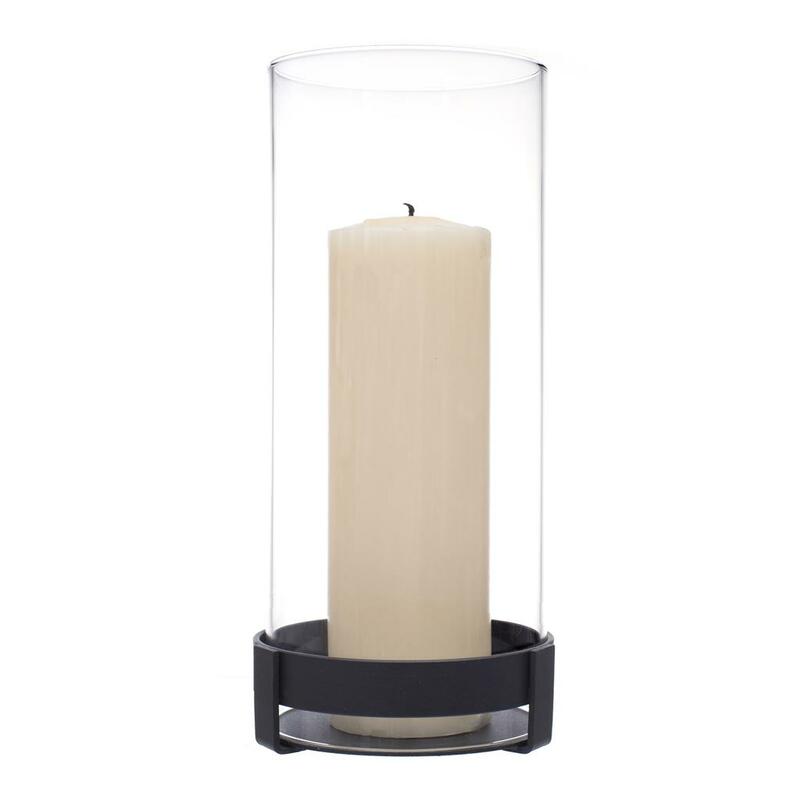 The Pembroke is handmade in solid steel and powder painted in matt black to give it resiliant, timeless finish that will look stunning in any traditional or contemporary setting. 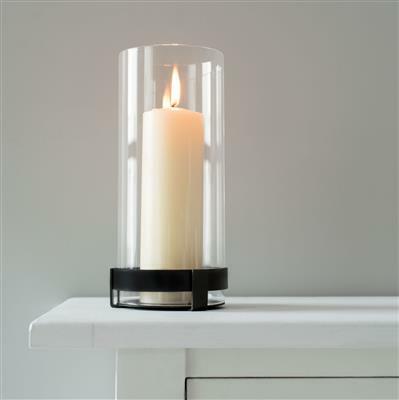 It is also available in our gunmetal grey polished finish, beeswax and old ivory. 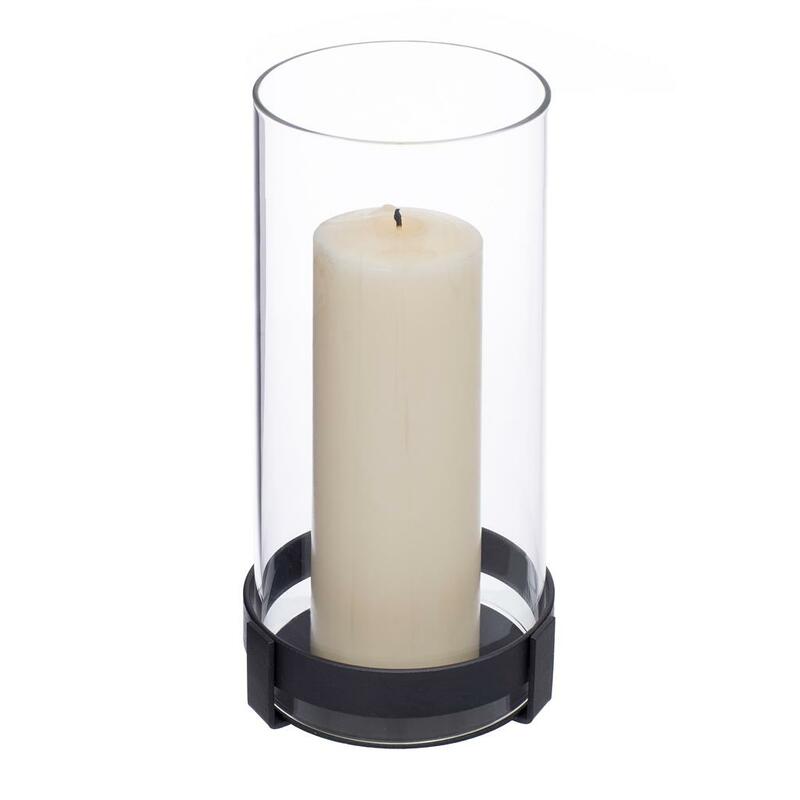 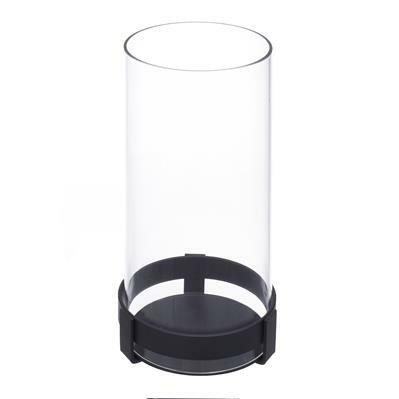 This stylish hurricane lamp is 30.5cm high, 14cm wide and 14cm deep. Candles are sold separately and can be found here. 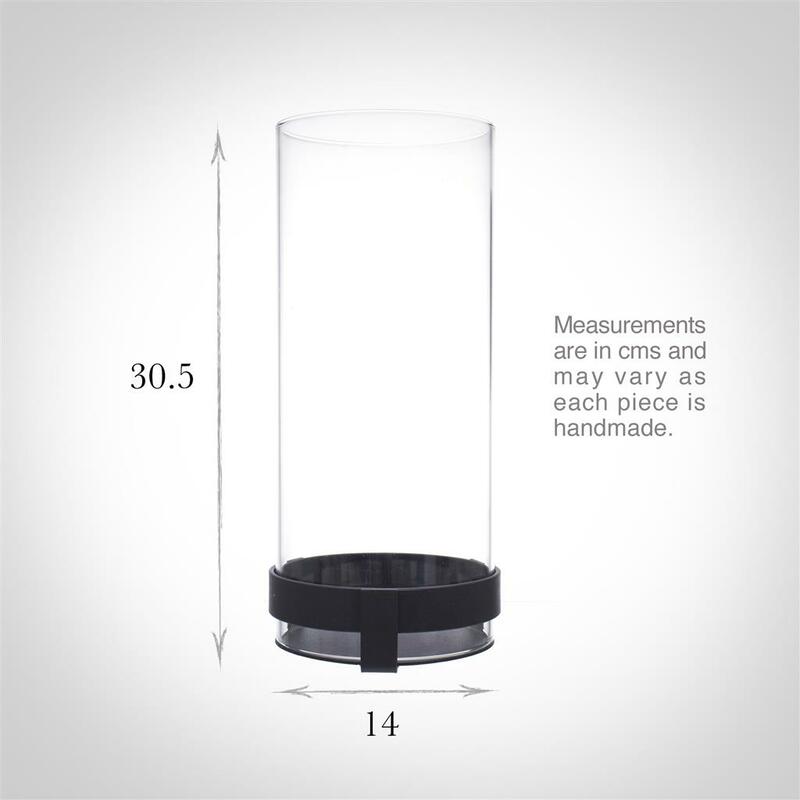 Please note: this glass is a natural resource and as each piece is individually handmade, slight imperfections may occasionally occur such as ripples and small bubbles.